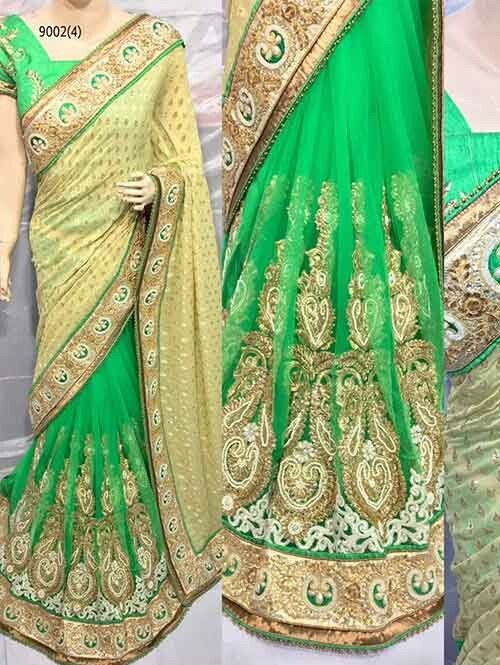 This well-designed ethnic Green half and half is sure to flatter your figure and add to your charm. 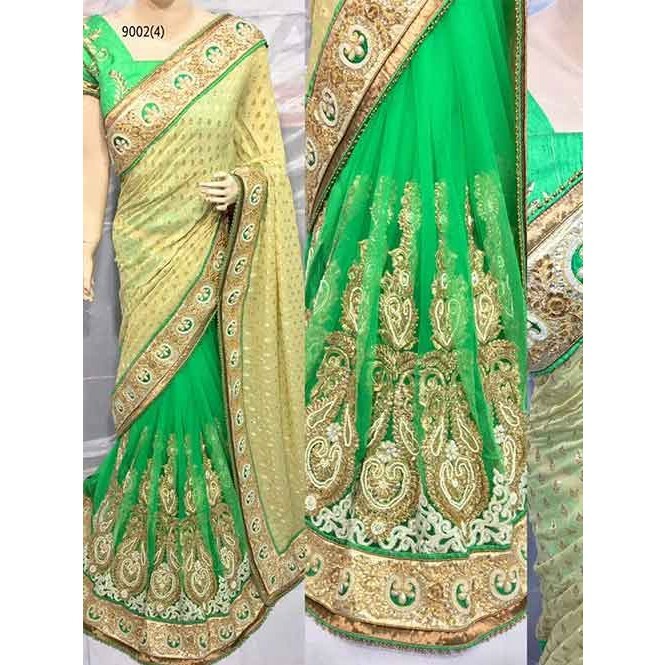 Tailored from high quality Viscose And Net, it features a graceful embroidered work. Large teardrop earrings and a dainty neck piece will go well with this contemporary saree.